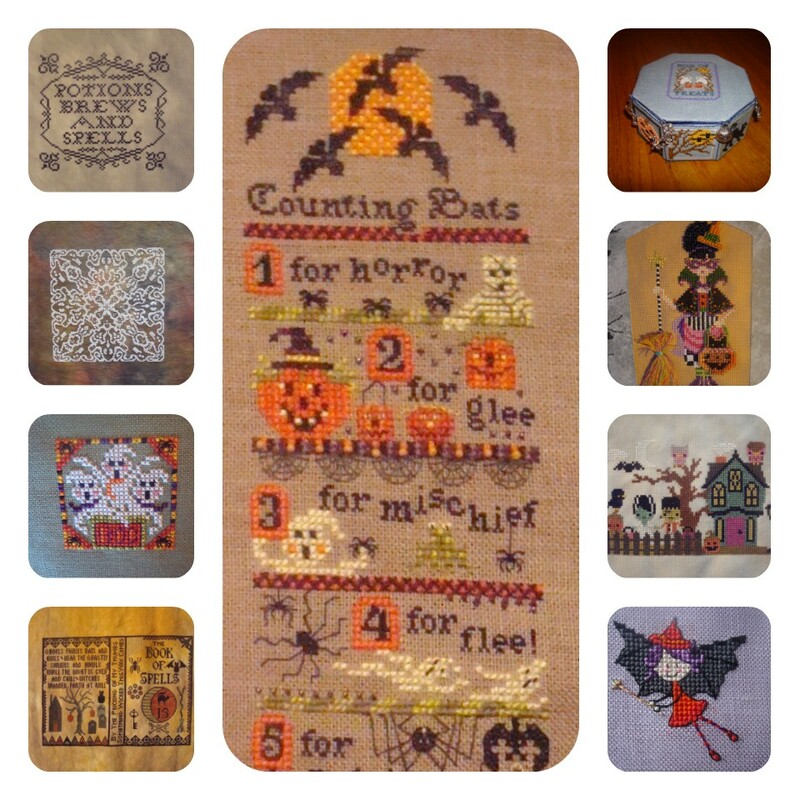 A collage of the spooky stitches I have completed since the last Blog Hop! This is Sampling Hallowe'en by Lizzie*Kate, a gift from Mii in our Hallowe'en Mail Art Exchange last year. I stitched it on 28 count lilac linen using most of the recommended colours, a few changes so things would show up better on the lilac fabric, which is looking blue in this photo! The little ghost charm was included with the chart. 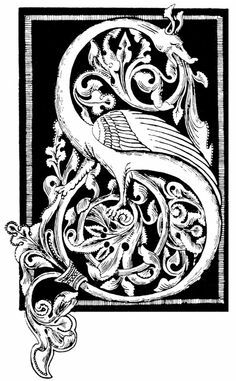 When Witches Ride Out On Brooms - wonderful blogs! Just love the counting bats one. This is so much fun!!! Your finishes are wonderful, I especially love the Ink Circles one. Thank you again for hosting this Blog Hop. It was so much fun and I think I have only added 4 things to my wish list. Which is a very good thing for my retirement fund. When Witches Ride out on Brooms. Comment 1 is my entry with the phrase When Witches ride out on brooms. Thanks for another fun hop Jo with some new blogs to visit ans some familiar friends. ciao Jo! thank you for another lovely blog hop! I've been waiting for a few hours for a few posts to be sure and even if some are still missing I'm pretty confident this year's clue is "when witches ride out in brooms" although I just thought, shouldn't it be "on brooms"? When Witch's Ride Out On Brooms. I am assuming that is it but there were two blogs that didn't have a letter posted. Love all of your pieces Jo. The answer is: When witches ride out in brooms. This was a fun one. I enjoyed the blog hop & all of the wonderful Halloween stitching! Thanks so much for hosting. Here is the secret phrase: "When Witches Ride Out On Brooms"
Love all of your beautiful Halloween stitching! Sampling Hallowe'en is super cute. Happy Halloween! This was so much fun - I've never done one of these before. Lovely stitching and fun posts. My phrase is: When witches ride out on brooms. That was fun! The phrase is "When witches ride out on brooms." Very fun Hop Jo! I think the phrase is "When witches ride out on brooms". Wonderful blog hop, lots of fun as usual and some fabulous stitching. When witches ride out on brooms. Thank you for organising the hop Jo, it's been fun and I've found some new blogs to follow. There is a letter missing at the moment so I'm having to guess at filling in the blank. It is either "When witches ride on out on Grooms" - which reminds me of the Wiccan wedding we shot a few years back, but seems kind of inappropriate for a blog children might read, or "when witches ride on out on Brooms"
One of the letters is still missing, but I'm going to go out on a limb and guess that the phrase is: "When witches ride out on brooms." Thanks for letting me join in the fun! Have a good All Saints Day, if that's your thing; if not, have a good Tuesday! I have enjoyed this hop again,finding some new to me blogs. I really enjoyed seeing everyone's stitching. Here is the phrase.when witches ride out on brooms. A collage full of spookiness, lots of lovely finished since the last Halloween blog hop. Thanks for a great blog hop, Jo! Such fun to meet some more "new to me" bloggers! Great phrase "When witches ride out on brooms"
Well done stitching all your new Halloween stitcheries too! That was a lot of fun again, Jo. I just love your blog hops. And it's a always a chance to discover new-to-me blogs. Thanks for organising this hop Jo - I'm finally sitting down to hop on Bonfire Night! I thought by the time I came around with blog reading, it would be to late to enter a guess, but looks like I'm just in time! So if I didn't misshop, the phrase for this hop is: WHEN WITCHES RIDE OUT ON ?ROOMS, and I'm pretty sure that one letter I couldn't find is a B! Also, your blog hop made me add another three or four blogs to my list...not that I don't have enough to catch up on already! I only manage to visit the blog hop today as my computer had broken down. !Lovely collection you have there!The phrase is " When witches ride on brooms" Thanks for this lovely blog hop once again!AriadnefromGreece! I'm so sad I missed a blog hop. I don't have time right now to hop around I'm so far behind on my blog reading list and want to catch up there first. But belated Happy Halloween! Thanks for hosting and keep em coming. They are just so much fun! !